How far do you think your company goes supporting project managers? Do you have all the skills you need to meet the challenges of your upcoming projects? Do your colleagues – especially the newer ones? In my experience many companies don’t invest in their project management people, at least not in the right areas. There is no shortage of certification courses (and if you’re looking for support in that area here are some suggestions of reputable suppliers). These courses are strong on the technical elements of project management. But in terms of other areas of project management competency like what IPMA calls ‘behavioural elements’ or ‘contextual competencies’ then they’re not that good. 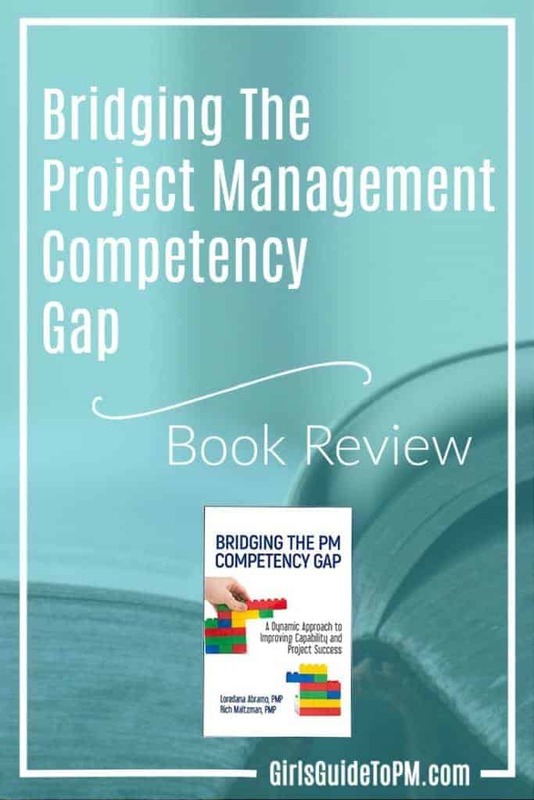 Written by Cleland Project Management Literature Award winner Rich Maltzman and his colleague Loredana Abramo, Bridging the Project Management Competency Gap is all about establishing a continuous, sustainable environment for learning in your business. The book won’t tell you what competencies your team needs, but it does lay out a roadmap for helping you work that out for yourself. And then it guides you on the steps required to deliver it. Monitor progress and track the improvements in competency with a view to continually moving beyond your current competency levels. This is a book that is about getting stuff done, and while you can read it and learn more about how to develop the skills of your team, it’s really aimed at guiding you while you do the work. While the authors are experts in the field in their own right, the book draws on research they undertook in this area (without that annoying habit of dropping their research results into every section). They surveyed over 250 project management experts and practitioners to inform their writing and I think it shows in the breadth of examples they include. There are plenty of headline figures in this book that point to why it’s worth working out your competency gap and doing something about it. The authors quote the PMI pulse of the Profession report (March 2015) that concludes that organisations that are good at knowledge transfer are 32% better at meeting project schedules than those that don’t have effective knowledge transfer. 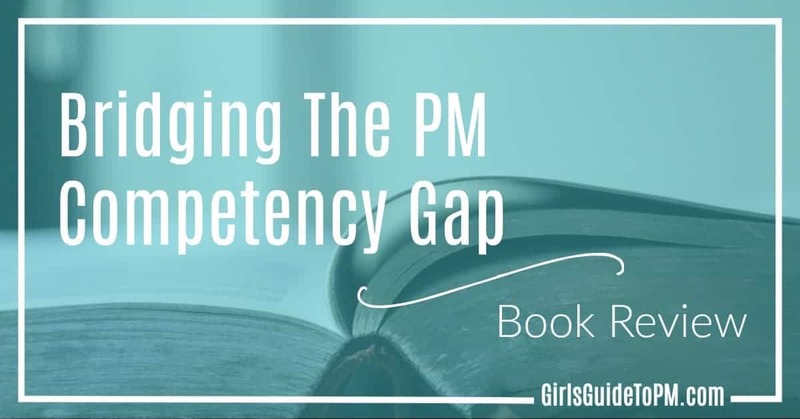 And knowing that businesses are evolving at a frantic rate, ensuring that your team has the skills required to deliver the projects you want them to work on next year and in 5 years – well, it’s something every PMO should be considering. OK: you get why PM competency is an issue and you want to support your teams. But do you really need a book to tell you how to do a gap analysis and then implement some solutions to address it? Possibly not, if you have the time and energy to do all the legwork yourself. Possibly not, if you believe developing your project managers is simply about classroom training and lunch and learn sessions. Personally, life is too short for me to design an effective programme for scratch. As with many project managers in leadership roles, I have other responsibilities in my day. I’d rather just have it all served up on a plate and work through the plan given here. Having said that, the authors don’t offer easy answers. There is no one-size-fits-all downloadable implementation plan. There are plenty of proposals, case studies and ideas but (rightly) no suggestion that the authors can do it all for you. Only you know your team and your office culture. You’re going to be best placed to analyse the tried-and-tested recommendations here and pick what is going to work for you. Like so much of project management, the best results come from being guided by the experts but by using your professional judgement to make the right choices for your team. Get your copy of Bridging the Project Management Competency Gap on Amazon. Elizabeth, thanks for your (as always) thoughtful review of our book. Nicely done! I just wanted to say I really appreciate your work. I’m a Project Manager since 2012 and I try to learn as much as I can from courses, books, certifications and so on. I can honestly say your website is a pleasure to read and your honesty towards PM is really motivating. Keep up the good work! If one day I can work in UK (as a PM (-: ), it would an honor to pay you a coffee and hear your stories. That’s kind of you to say, thank you!